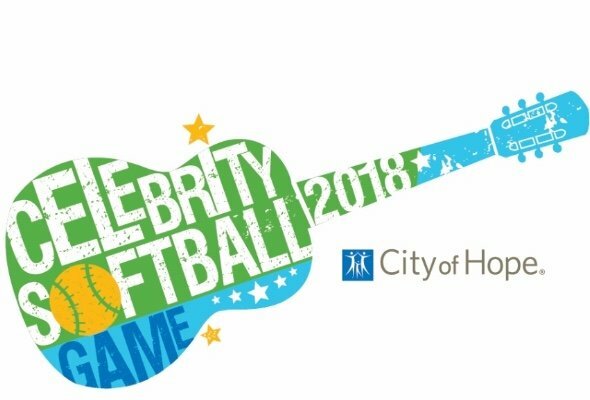 City of Hope’s 28th annual Celebrity Softball Game continues to announce talent for the Saturday, June 9, event at First Tennessee Park. Bobby Bones, Brandi Cyrus, Lauren Alaina, Tegan Marie, Trent Harmon, Lucas Hoge, Jay Cutler and Marc Mariani have been added to the list of talent participating in the event. Teams iHeart Radio andGrand Ole Opry will meet at the field for a friendly competition for a great cause. CLICK HERE for tickets ranging $15 – $35. For media and photo passes, CLICK HERE. Office Depot will join the game for the first time as a supporting sponsor. Other notable partners include CMA Fest, U.S. Army, Grand Ole Opry and iHeart Radio. Big Machine artist and Season 15 winner of ABC’s “American Idol” Trent Harmon will also perform the national anthem. City of Hope Celebrity Softball Game veteran and national radio personality Bobby Bones will continue as iHeart’s team captain. Reigning ACM New Female Vocalist of the Year Lauren Alaina will return to the game after several years of support. DJ, fashion blogger and member of the Cyrus dynasty Brandi Cyrus will play in the game for the first time. Warner Music Nashville artist Tegan Marie, 14, one of the youngest female country singers to sign a record deal in decades, will participate in the game along with Billboard No. 1 artist Lucas Hogeand NFL players Jay Cutler and Marc Mariani. As previously announced, The Scott Brothers are warming up for some sibling rivalry this year and Naomi Judd, who participated in the game in the early ’90s, is dusting off her glove and returning as a play-by-play guest announcer. More talent will be announced soon. Tickets are on sale now at Ticketmaster.com. As always, 100 percent of event net profits benefit City of Hope. For more information,visitcityofhope.org/softball or follow City of Hope onTwitter, Facebook and Instagram. City of Hope is an independent research and treatment center for cancer, diabetes and other life-threatening diseases. Designated as one of only 49 comprehensive cancer centers, the highest recognition bestowed by the National Cancer Institute, City of Hope is also a founding member of the National Comprehensive Cancer Network, with research and treatment protocols that advance care throughout the world. City of Hope is located in Duarte, California, just northeast of Los Angeles, with additional locations throughout Southern California. It is ranked as one of “America’s Best Hospitals” in cancer by U.S. News & World Report. Founded in 1913, City of Hope is a pioneer in the fields of bone marrow transplantation, diabetes andnumerous breakthrough cancer drugs based on technology developed at the institution. Find the most current Lauren Alaina tour dates from our partners at Country Music On Tour, your trusted country concert ticket source! Country Music News Blog participates in advertising programs that help fund the operation of this site. For more information please visit our privacy statement. This entry was posted in City of Hope, Community, Lauren Alaina, Press Releases by Shauna "WhiskeyChick" Castorena. Bookmark the permalink.